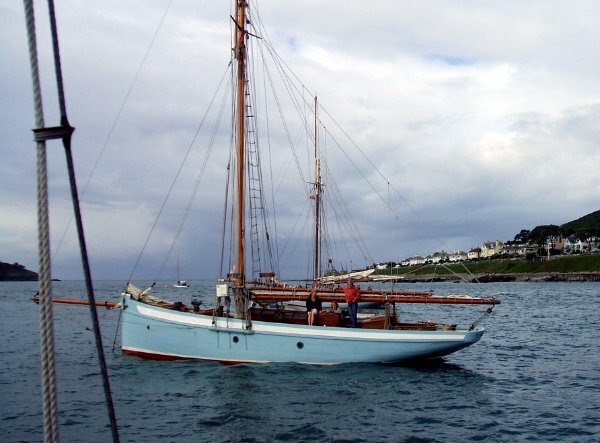 Peggy was built for pilot Richard Arthur Case in 1903 by Edwin ‘ Cracker’ Rowles at his yard in Pill on the Avon. Originally named ‘ Wave’ she was No. 10 and carried that number on her mainsail. She was converted to a yacht be Moody’s in the 1920’s and registered as Peggy in London. 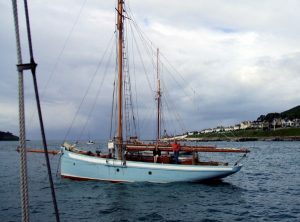 She has been owned since 1973 by Mr. Diccon Pridie and she is in Bristol City Docks.